I looked around but didnt find what I was looking for. I went to exhaust specialist here nearby to do a complete exhaust, they did 4-2-1 manifold and wraped it,remove my cat and did a 2" pipe till back box. Everything is ok but it doesnt sound like I wanted to so am going back to them to replace back box in few days. 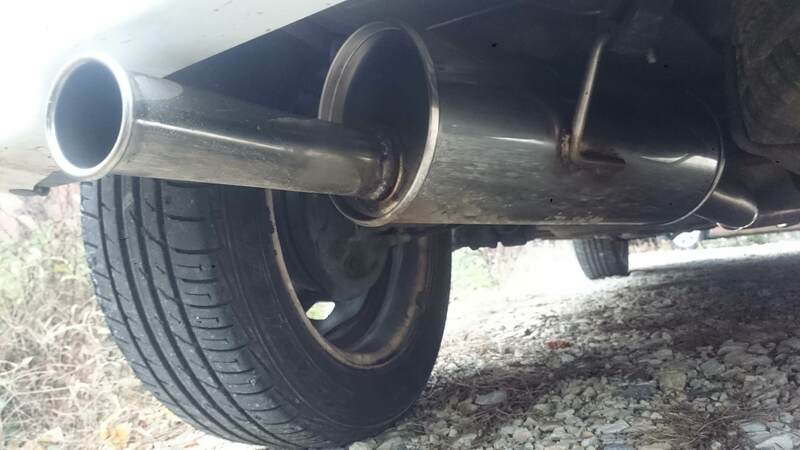 My current exhaust is more oval and it has boomier sound and none of pops or bangs.Am verry dissapointed becouse I lost amazing induction sound for bad exhaust sound. So I whould like to do similar exhaust like Pugsport and need as much info so I can proceed it to a guy who will do my exhaust. So if anyone know dimension of back box or even better have it splited to half (dont belive someone whould split it really) so it can be seen how it looks from inside or any other info that influance the exhaust sound whould be great. I will try to explain that guy what I want more accurately and will show him videos how it Pugsport sounds,maybe he will now how to achive it but any more info is welcomed. Last edited by Petros; 19-11-2017 at 09:45 AM. the magnex boxes have the perforated tube going straight through the middle of a fairly thin wall welded oval silencer, the boxes also sit pointing directly front to back not at an angle like yours. material I have seen in them is steel wool around the tube then glass fibre for the rest. Last edited by Petros; 19-11-2017 at 11:09 AM. Backbox looks like a nice lightweight one. Can you put a sound Video on YouTube ? Will you sell the backbox ? the shape of the pipes are quite important also. the pugsport is very light, around 10 kilos total! Yes I know but not sure how excattly they did it on my car,should take a pic and will ask them how much could it weight. The question is, can I replace 3" pipe for smaller 2",will it be a problem to do so? 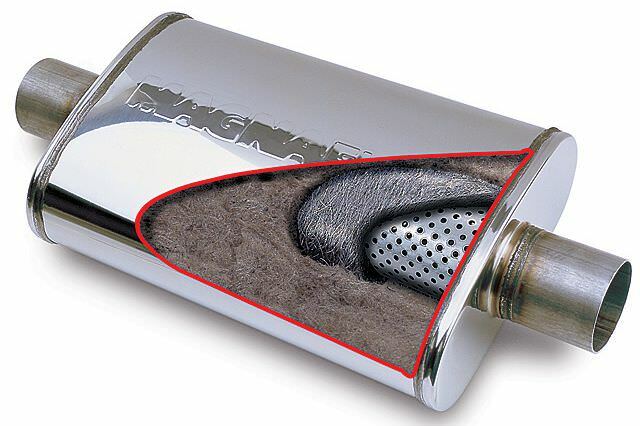 its juat a tailpipe, they are otherwise identical. do you have a decent size mid box? Last edited by Petros; 23-11-2017 at 05:31 PM. ah, pugsport has a midbox. Isnt that a dummy cat?